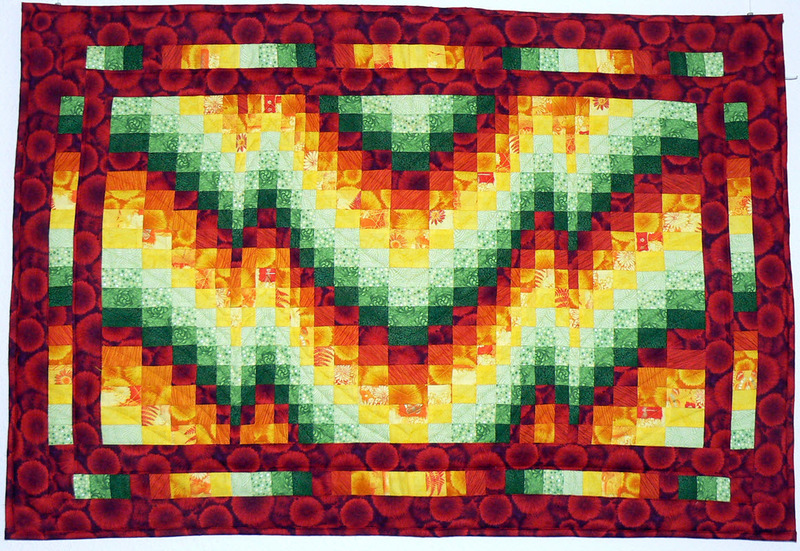 Based on the Flame Stitch design in needlepoint, Bargello quilts fascinate us with the complexity and rich interplay of color and value. 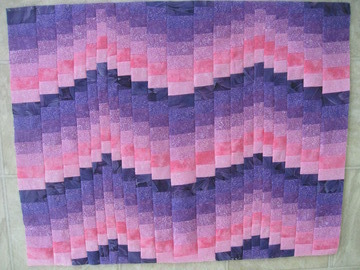 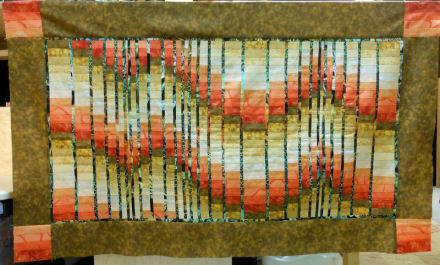 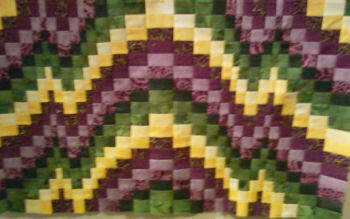 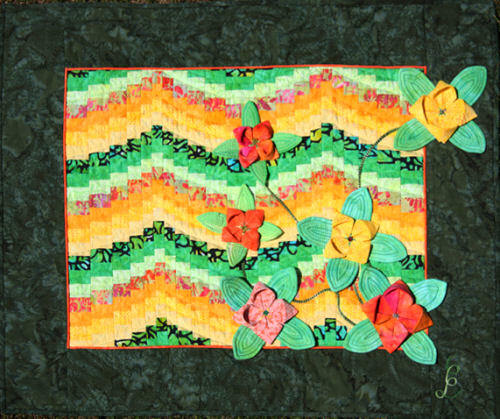 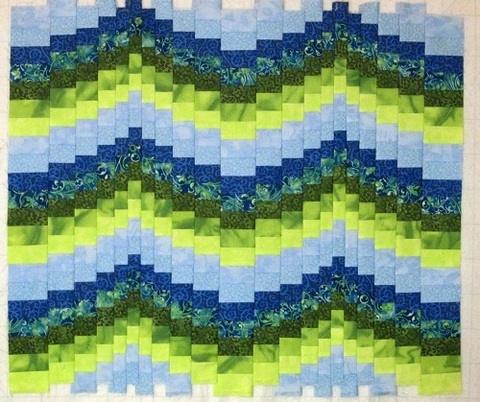 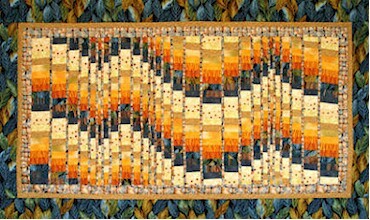 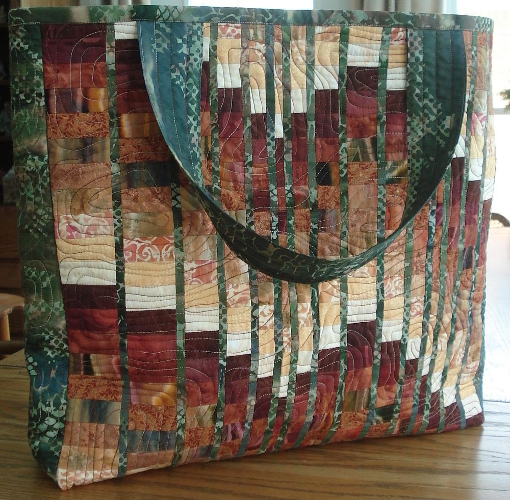 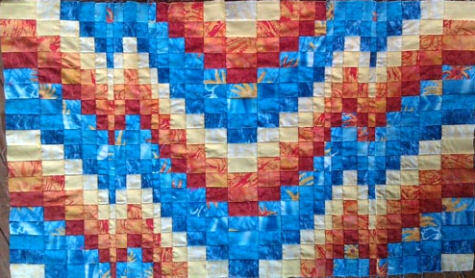 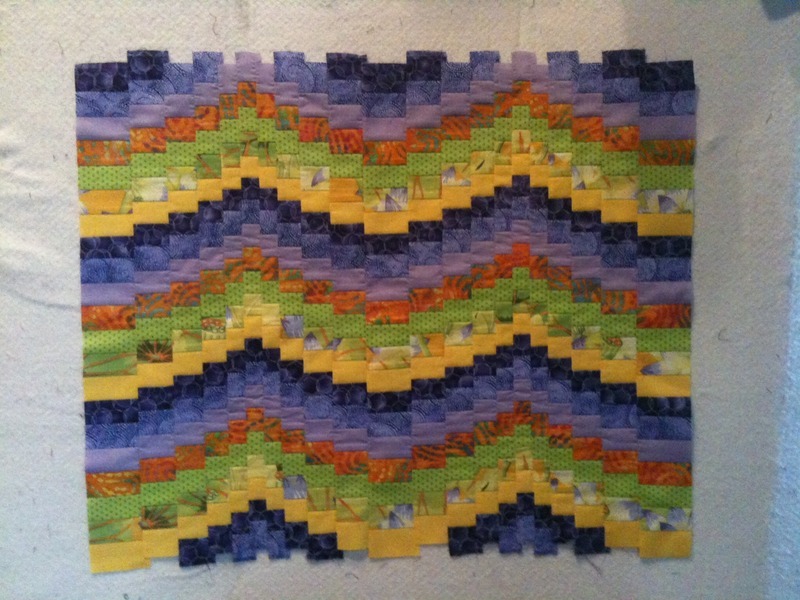 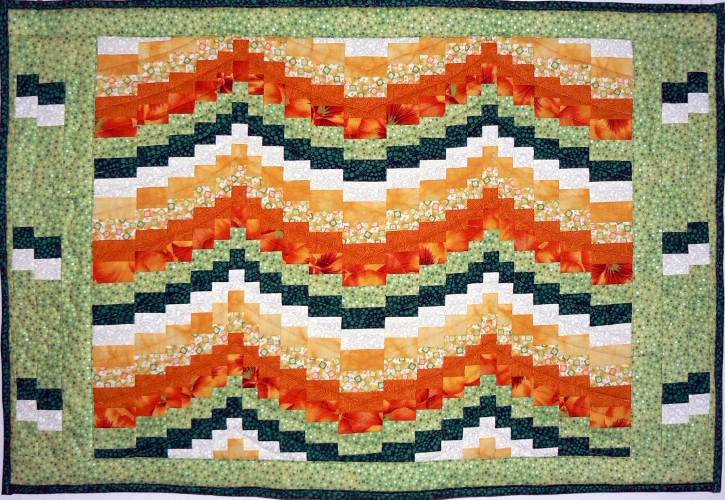 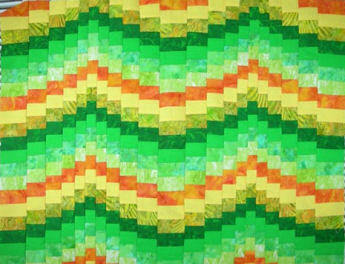 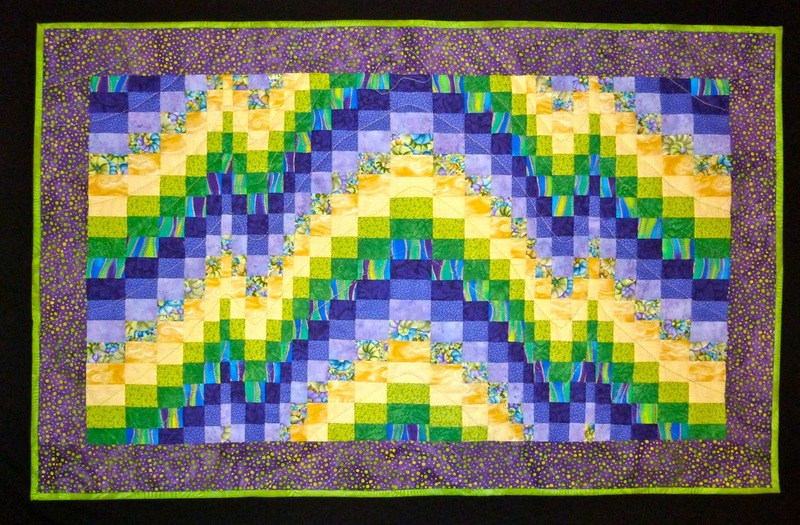 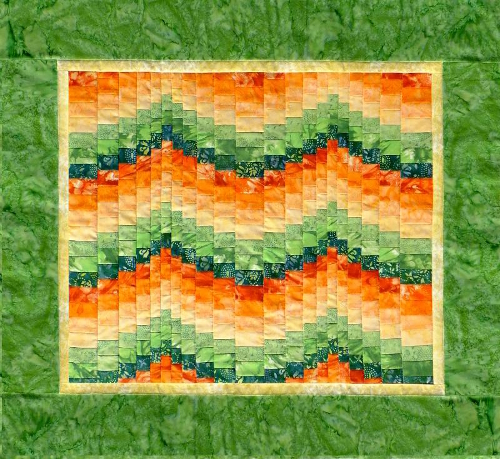 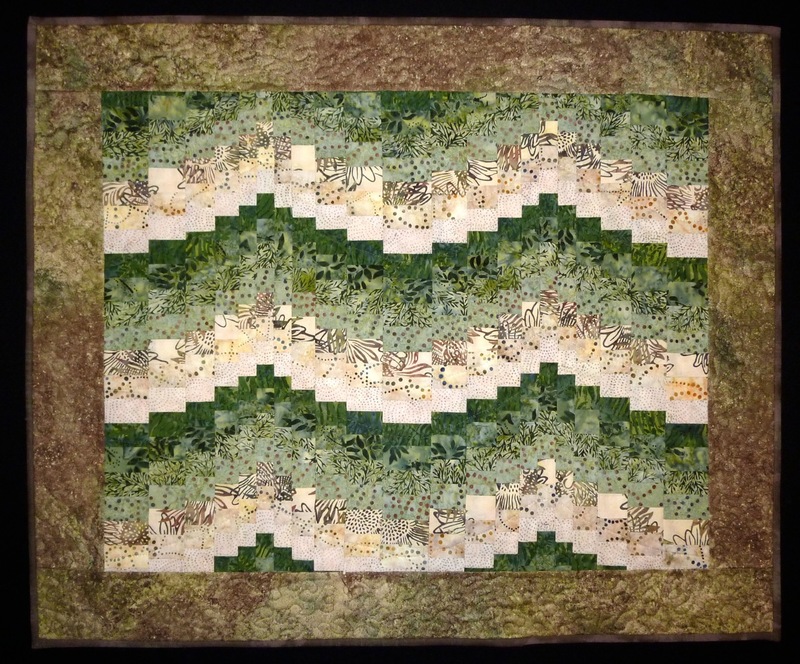 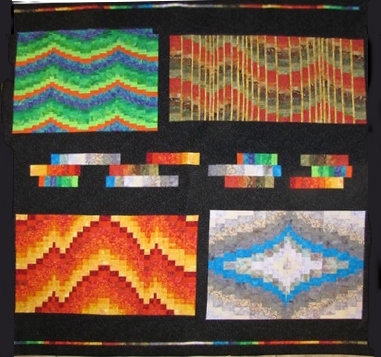 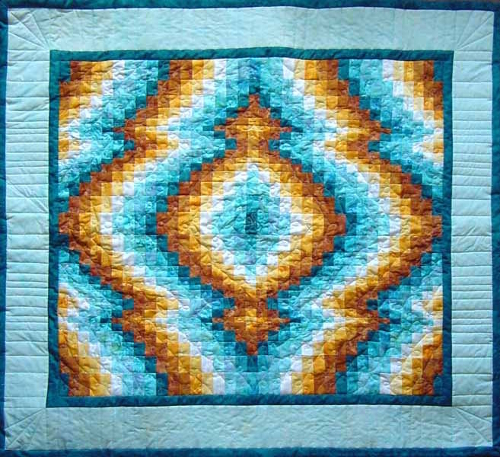 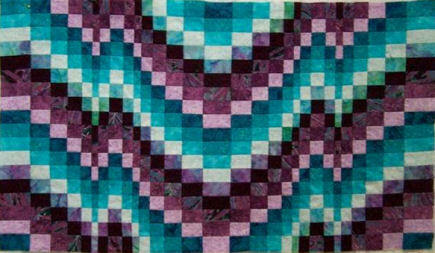 In this beginner class, Ruth takes you through the four seasons as she shows you four distinctly different bargello techniques: staggered seams, matching seams, adding fractured strips and reversing half the design to create a reflection. 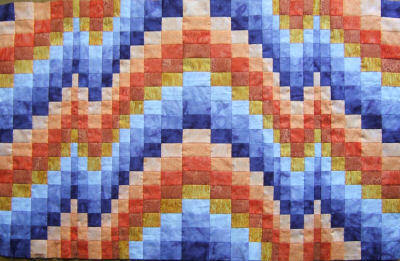 The fourth will be sewn as a quilt-as-you-go project. 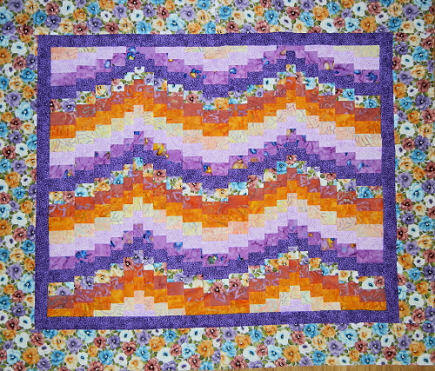 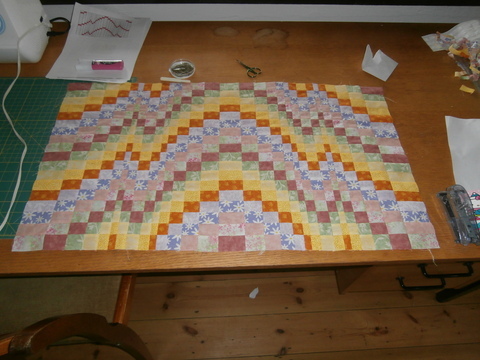 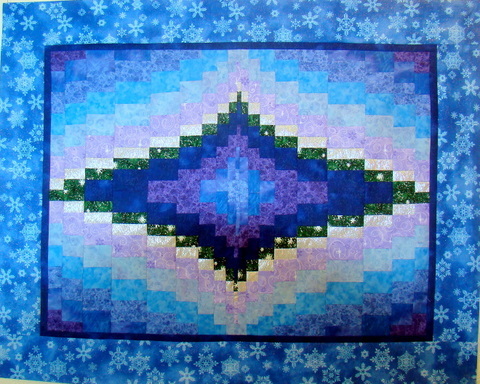 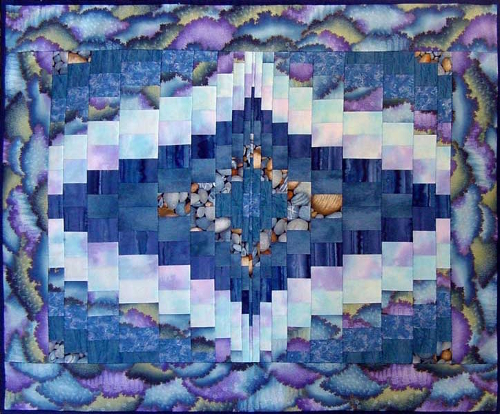 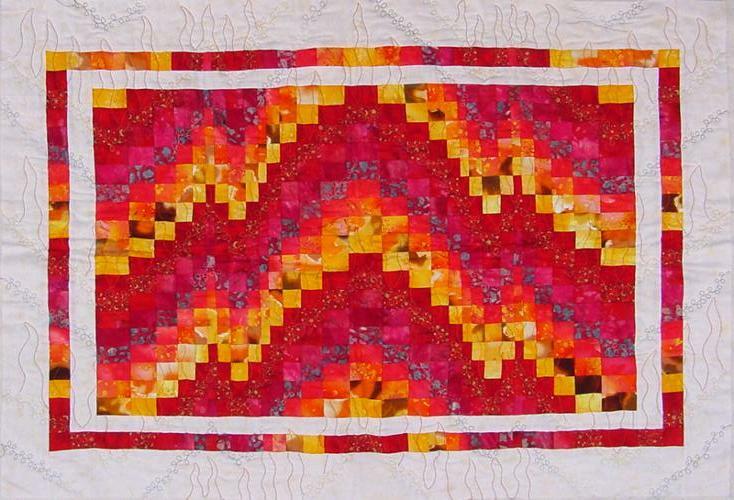 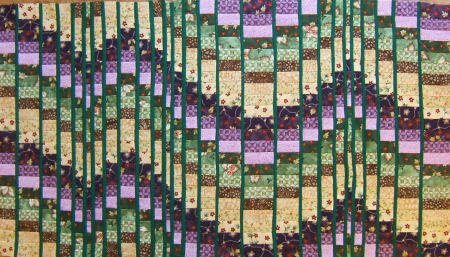 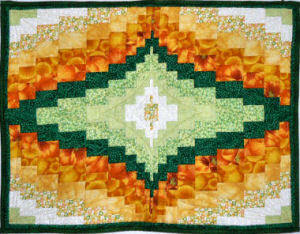 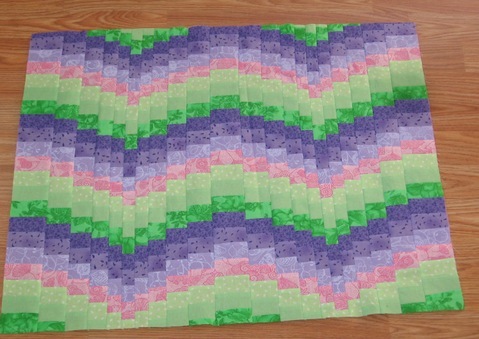 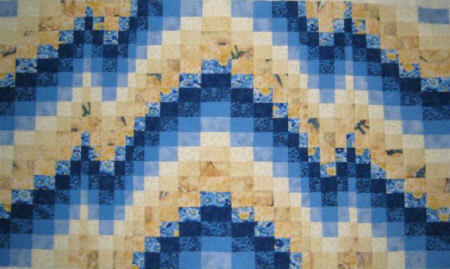 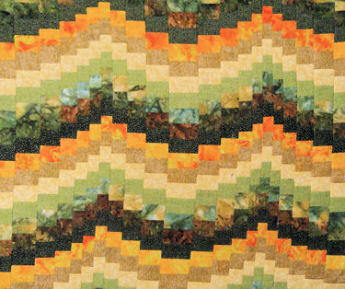 You will be able to make four individual small projects or combine them as one large quilt. 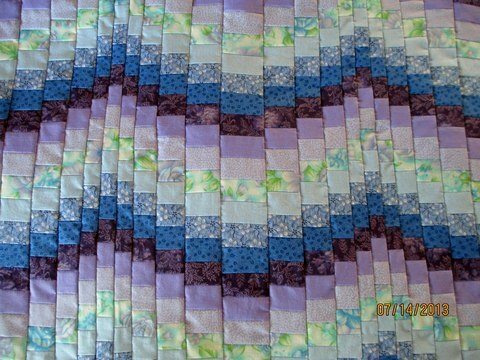 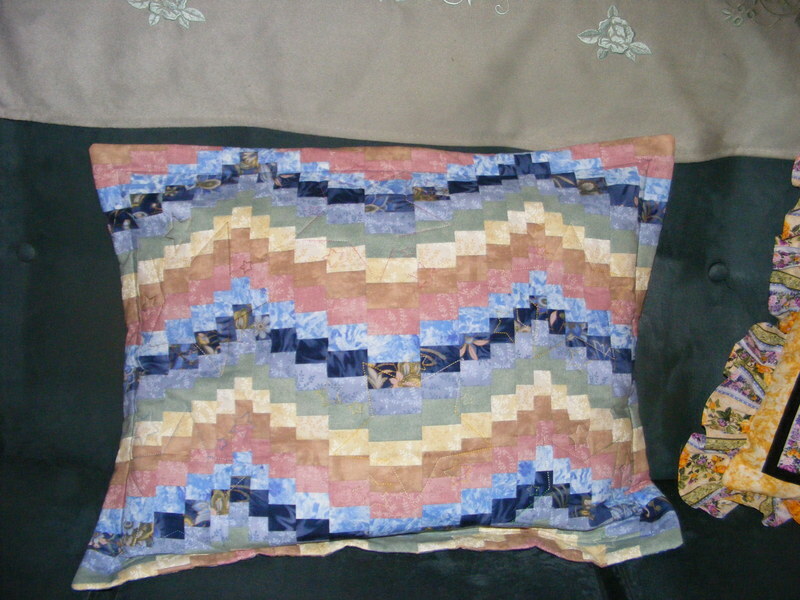 Border and quilting options are included. 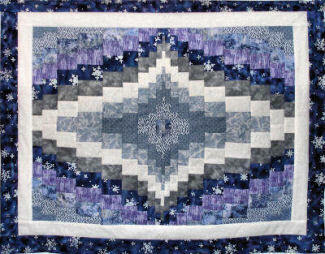 Level: Anyone confident with rotary cutting and machine sewing. 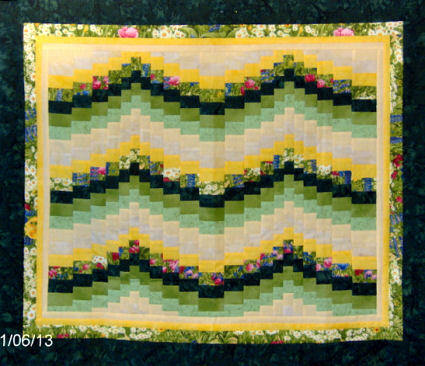 For the past couple of days I have been playing with different fabrics. 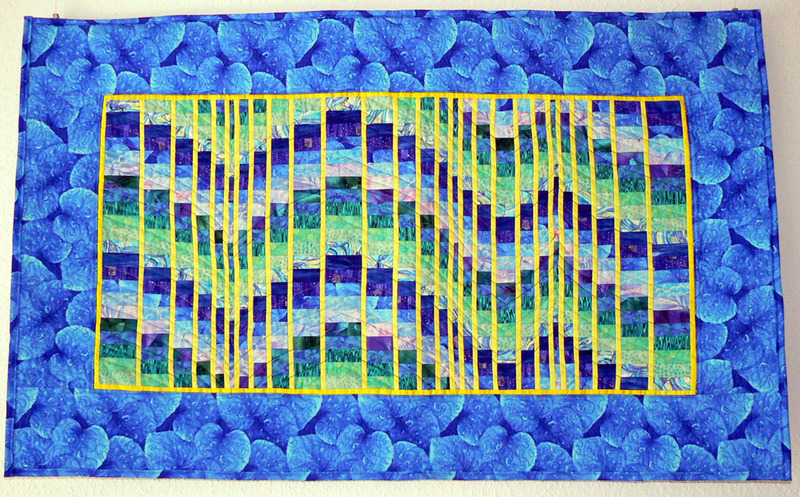 Then last night I had them set up probably 7 different ways and finally decided that enough was enough and went with the one I liked best. 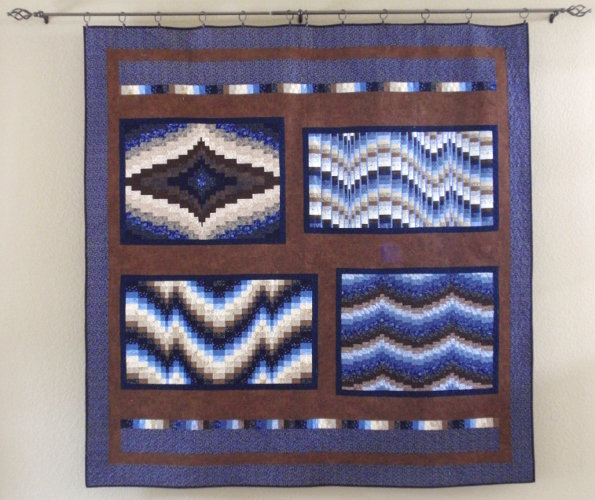 Today I finally decided to check in to the discussion group and now I wished I had done it sooner because I saw all your input about the color choices. 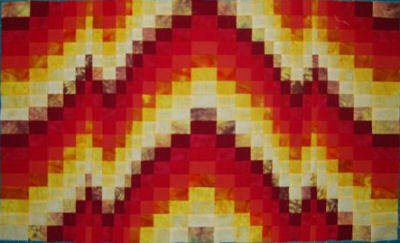 Each quilt requires extra fabric for borders, the amount depending on your choice of border style. 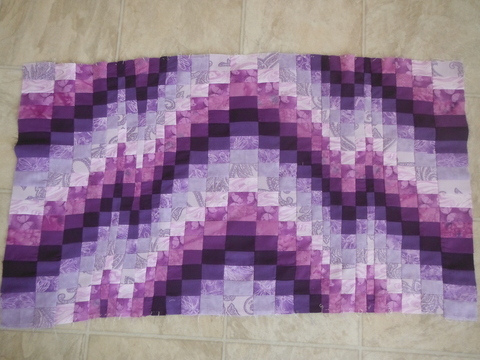 Lesson One will contain a complete discussion of appropriate fabric types. 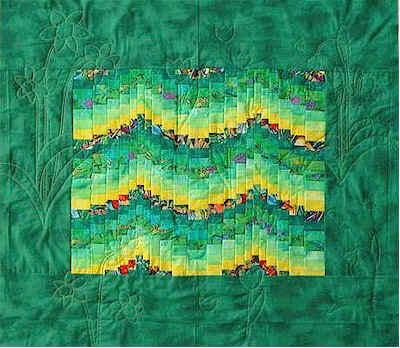 If you have a large stash, you should be able to find what you need right at home since individual yardage requirements are small. 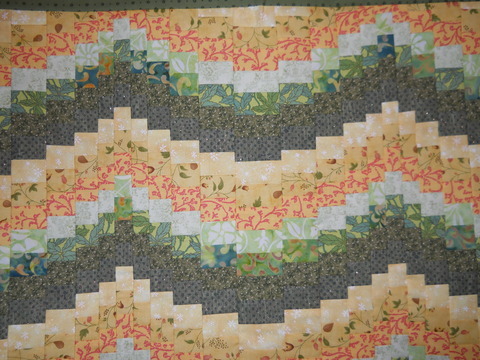 Individual pieces measure 25" - 36" wide. 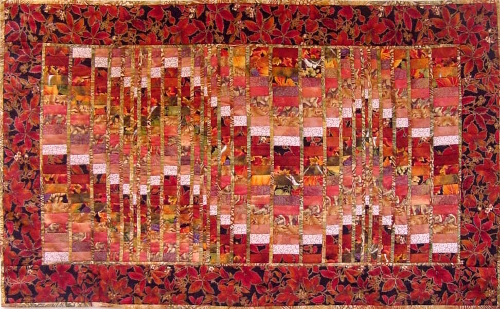 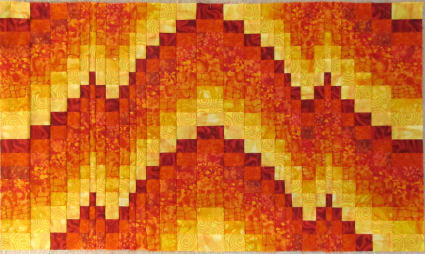 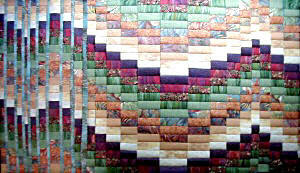 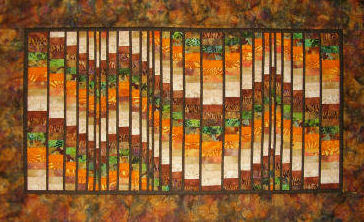 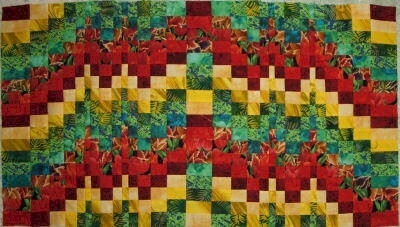 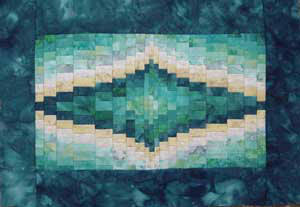 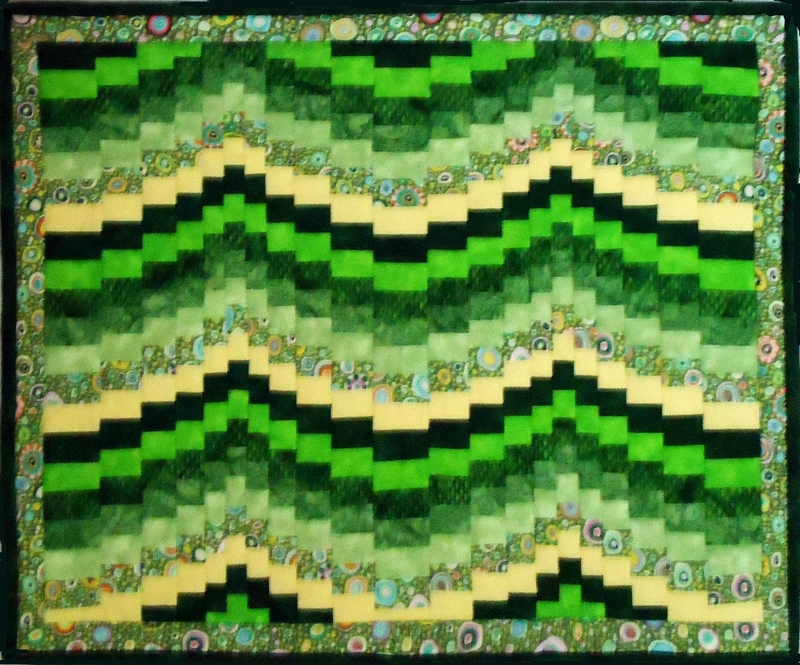 on the border style, but to give you an idea, my quilts used a total of 40" x 105"